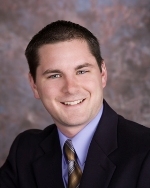 Brian Long : Union Financial, Inc.
Brian received his Bachelor's Degree from Ferris State University in Michigan. He has been in the financial services field for over 5 years. Brian Long is licensed in IL, MI, WI to offer insurance products, and life insurance (including variable life), annuities (including variable annuities), and is securities registered in FL, IL, MI, WI and adviser registered in WI.